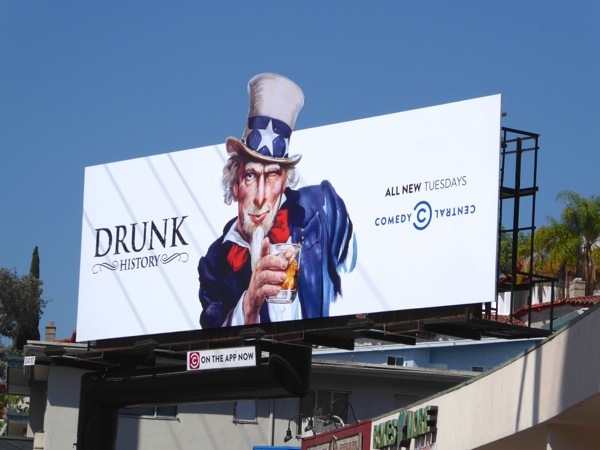 Comedy Central really wants you to watch the third season of its Emmy-nominated show, Drunk History. 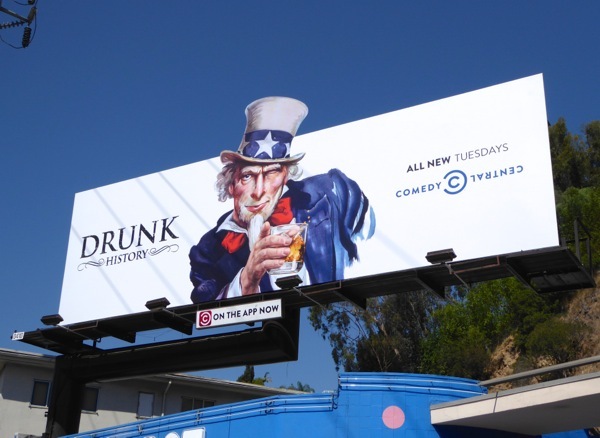 In the past they've enlisted the help of U.S. President's Richard Nixon and George Washington, but this time around they've recruited a tipsy Uncle Sam to grab your attention. 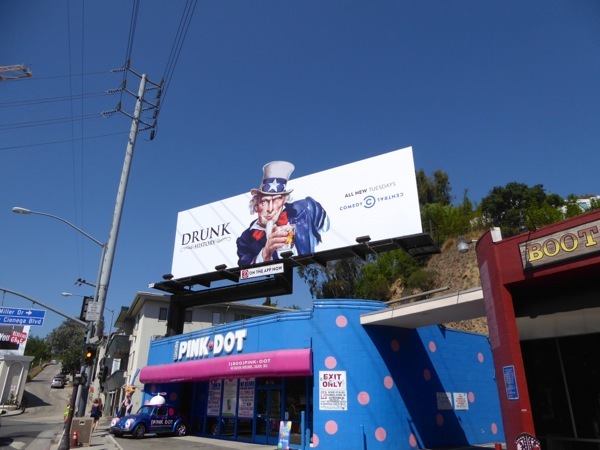 This drunken parody of James Montgomery Flagg's iconic 'I want you' World War I propaganda imagery really stands out in all its patriotic glory, especially with his top hat sticking out as part of a special extension. Are you ready to once again stumble through history with host of inebriated narrators and guest stars? 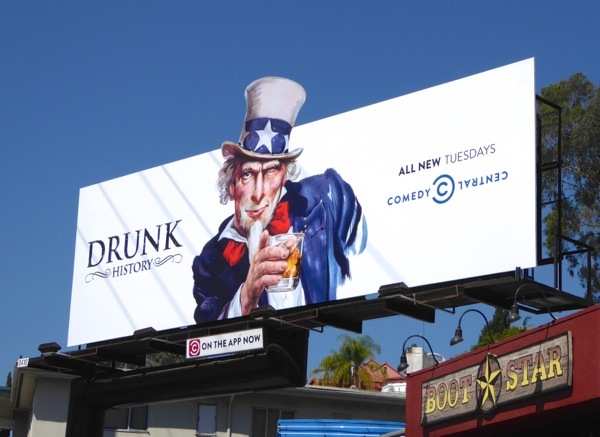 This rosy cheeked Uncle Sam season three promo billboard was snapped along the Sunset Strip in West Hollywood on August 27, 2015, and if you like this fun ad creative be sure to also check out these equally clever Drunk History season one and two billboards. 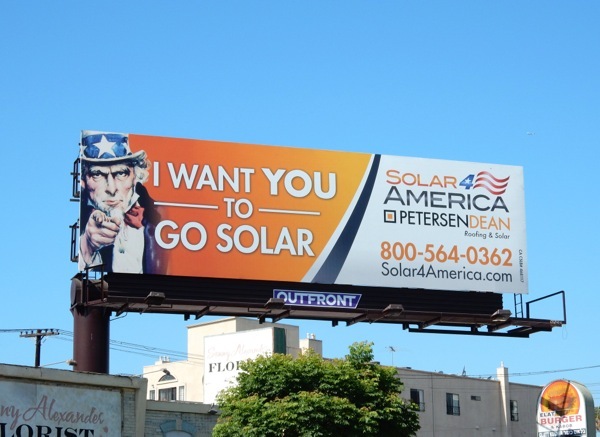 As a bonus here's also another ad creative using the more classic pointing Uncle Sam to help advertise solar panels, spied along Pico Boulevard on July 17, 2015. 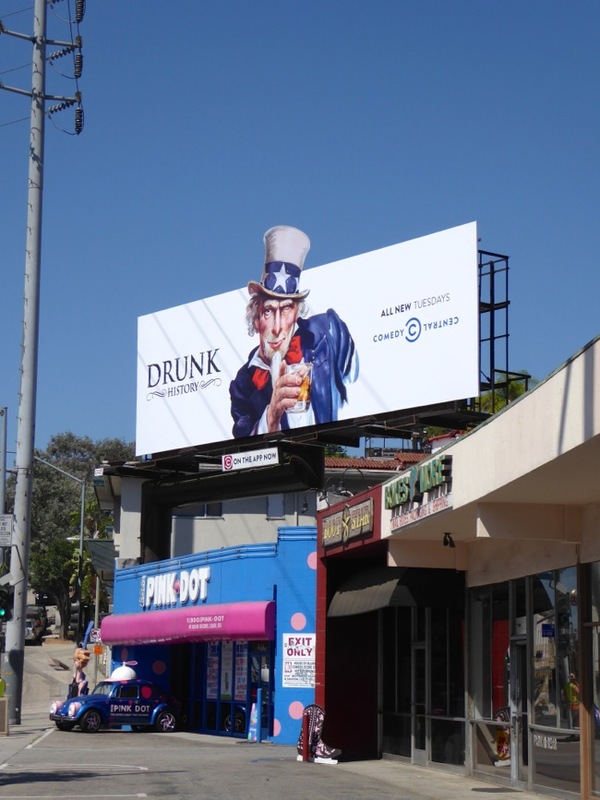 Daily Billboard is sure these aren't the first, and won't be the last examples, of the infamous imagery being used to sell or promote a product, service or TV series. Let's raise a glass to this American legend, who arrives in the skies just in time to help celebrate the forthcoming Labor Day holiday weekend.